As promised, to round out your basic gold & silver neutrels, here is the Silver Swirls Necklace & Earrings in a dark, shiny silver. 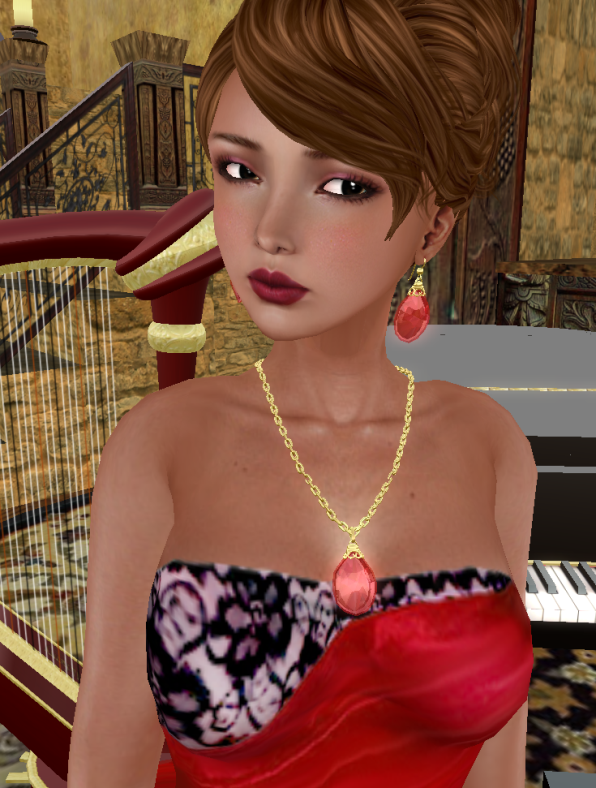 And the necklace & earrings come as a set in the 60 L Weekend Sale this week. And, since Valentine's Day is approaching, the Glistening Gems Ruby Pendant and matching earrings also featured in the 60L Weekend Sale. You can't go wrong with rubies for V-Day! Hair: Truth Zoe--browns. Purchased full price. Dress: Miamai Euridice, white. Purchased full price some time ago. I'm at: The Looking Glass. Dress: Ivalde Elnera red gown.